A few weeks ago I had the pleasure in meeting Chris Barnardo one of the founders of the Wand Company. You may remember his pitch on Dragons’ Den for his innovative, remote controlling device in the shape of a wand, the Kymera. Having made some toy wands for his children using an old lathe, he was inspired by their success and thought they would be even better if they actually worked. A device that would allow its owner to control things at a distance with just a flick of the wrist or a theatrical swish, just like Harry Potter. Lacking the expertise in electronics, he teamed up with an old friend Richard Blakesley, who was a bit of an electronics wizard, to develop and design the working elements. The result, the Kymera, a fully functioning magic wand, capable of 13 separate operations. Listening to Chris’s presentation really demonstrated the passion and belief behind the project and it was no surprise that the Dragons were keen to invest in the invention. 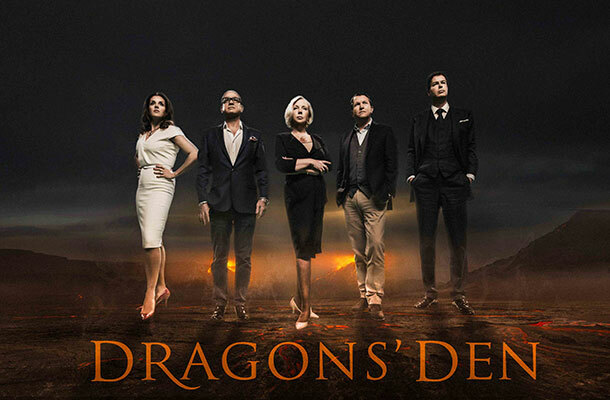 With the new series of Dragons Den now on our televisions and our Dragons’ Den blog available to explain the IP protection in each pitch, I thought it would be good to look at a few of the successful inventions that have passed through the doors. Another entrepreneur that I have worked with in the past is Neil Westwood. Neil worked as a trainer for the NHS and was inspired to develop the Magic Whiteboard because he was fed up carrying the flipchart stand around the wards in the hospital. A portable lightweight solution was needed. As a result of this the Magic Whiteboard was born. One that everyone will probably remember is Levi Roots and his Reggae Reggae sauce, the singing pitch won over the Dragons. In exchange for a 40% stake in his business, he secured the support of millionaire Dragons Peter Jones and Richard Farleigh for £50,000. Peter Jones helped to get the sauce listed by Sainsbury's, turning the dream into a reality. One that got away was Rachael Lowe and her board game, Destination. During her time as a law student, Rachael was forced to become a taxi driver to support her two children. One evening, whilst working a shift, she came up with the idea for a board game based on players competing as taxi drivers to acquire money by moving from destination to destination. When appearing on the Den she was looking for an investment of £75,000, but was torn apart by the Dragons, who derided her efforts, laughing at her lack of knowledge of the difference between gross and net profit. Despite the Dragons’ claim that she would be ‘eaten alive in business’ Lowe’s board game has become the best selling game at London’s Hamleys, with further games created in partnership with Walt Disney and Warner Brothers. But with every success there are some not so successful pitches. The Drive Safe Glove, a single glove that you put on your right hand when you travel abroad to remind you to drive on the correct side of the road. Superknees, a pair of roller-skates you strap to your knees to help you go from one kneeling job to another at high speeds. "Goodbye My Pet" burial pack? These cute little coffins were supposed to put the 'fun' back into funeral. Watch Dragons’ Den every week and catch up with our dedicated Dragons' Den: the Intellectual Property blog. For any new company that is built around intellectual property development and protection, evaluating how to protect the IP is one key component of a greater range of business and commercial issues. Clearly ensuring that the IP is protected is very important since it enables you to enforce such IP rights and thereby making it more difficult for competitors to "rip off" your idea. However as stated previously IP is just one component part in the development of a new company. Other very important factors to consider are: (i) are you exploiting a niche market with reasonable barriers to entry; (ii) is there demand for your products; (iii) does it stack up financially; (iv) can you successfully market the product etc. Unfortunately many new companies focus on the IP without drilling down and analysing the other components that make a successful business. As a matter of interest did the Kymera wand get awarded a Patent? I think I'm right in saying it was Patent Pending when on Dragon's Den?